An ideal filter provides maximum resistance to the passage of entrained contaminants while offering minimum resistance to the flow of the system fluid. Filter media are porous materials that contain pores and capillaries. Capillaries are passages extending from one side of the medium to the other, while pores are individual restrictions within the capillaries. Thus, filter media actually consist of openings that are defined by the structural elements of the medium, for example, fibers. When contaminated fluid upstream of a filter passes through the filter medium, a fraction of the particles in the fluid are captured and retained. Under normal conditions, the fraction of the particles retained varies with the size of the particles, the filtration ratio or filter rating (separation efficiency) of the medium, and the structural integrity of the filter. Particles mechanically trapped by the surface or by constrictions within the interstices of the medium are captured and retained by a process called absorption - a sieving, straining mechanism. However, if the particles are attracted and held by surface forces in the medium, adsorption is the mechanism - forces known as electrostatic, hydrogen bonding, and Van der Walls attractive forces. Filter media are often classified as being either "surface" or "depth" media. 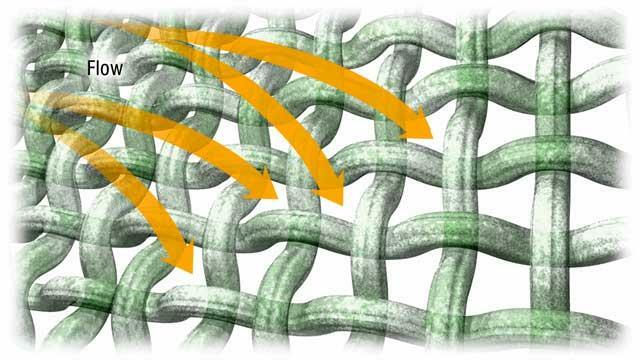 The classic case of a surface medium is a wire screen, while a depth medium might be compressed felt. In reality, the particles exposed to the media generally determine whether surface or depth filtration will occur. If the particles are too large to enter the pores, surface filtration takes place. If the particles are small enough to penetrate the interstices of the media, then they are either captured and retained by depth filtration or they escape capture altogether. Hence, it is not proper to refer to filter media as being either surface or depth type because these terms are concerned with the filtration process and not the type of media. Another type of filtration can occur in tribological systems: "cake filtration." When contaminant particles are too large to constrict the flow of fluid through the media, they collect on the upstream face of the filter and form a "cake." Obviously, the properties of the filter media are extremely important in the formation of a cake. However, once a cake has formed on the incoming surface of the filter medium, subsequent particle capture and retention and the permeability of the filter structure are governed by the nature of this particle bed (the cake), rather than by the filter medium itself. Cake filtration can provide an infinitely longer service life than surface or even depth filtration, and the level of filtration improves greatly. The flow of entrained particles through the passages of a fibrous medium is a complex phenomena because of the diversity of the transport, capture, and retention mechanisms involved. It is further complicated by the locations in a fiber matrix where a particle can be captured, by the probability that the target particle will actually reach a capture site, and finally, by the probability that the particle will be retained even if it is captured. 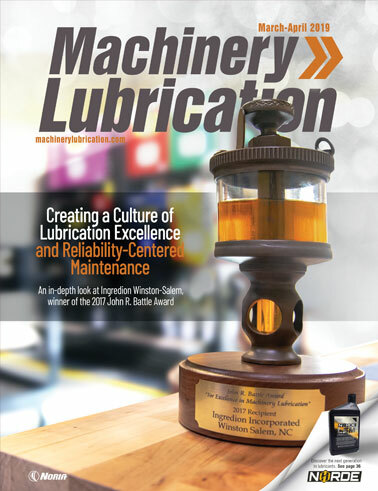 An overview of some of the principles of filtration mechanics is extremely important in understanding the physics of filtration, explaining filtration anomalies, planning for the "unexpected," and recognizing the value of "breakthroughs" in filtration. The type of transport mechanism that dominates varies from one filtration situation to another. In fact, the dominant mechanism may vary from one pore to another in the same medium. 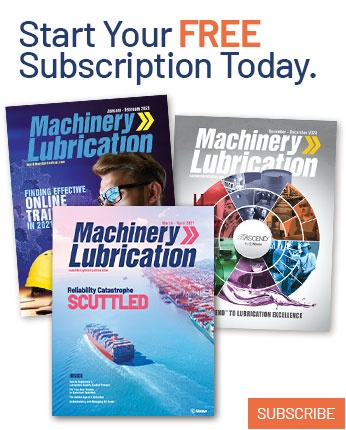 The effectiveness of each transport mechanism for various filtration modes must be appraised before the dominant mechanism for tribological system filtration can be established. Direct Interception. This type of mechanism is characterized by a particle that follows a fluid streamline and does not deviate from that streamline. Usually, a particle will be captured if it comes within one particle radius of a fiber. If this assumption is valid, and this were the only mechanism involved in the filtration process, then filtration efficiency should be independent of flow rate. Most investigators consider this mechanism to be effective in most filtration cases. Inertial Impaction. If the mass of a contaminant particle is much greater than that of the carrier fluid, the particle cannot follow the same trajectory as that of the fluid. The particles deviate from the streamlines as the fluid passes around a fiber. The particle may therefore be "thrown" into a possible retention site. The effects of this transport mechanism could be expected to increase with heavier particles and with increasing flow through the medium. Although investigations have not shown whether inertial impaction is important in all filtration processes, the mechanism may represent a significant aspect. Brownian Diffusion. Particles that are very small exhibit Brownian movement. These particles do not move along a fluid streamline, but diffuse throughout the fiber matrix. They may reach a possible retention site and remain there. The effect of Brownian motion would increase with smaller particles and decrease with higher fluid velocities: at higher velocities, the particles have less time to diffuse and approach a capture site. Brownian motion is usually neglected as a transport mechanism for particles above one micrometer in diameter, especially with viscous liquids. Gravity. If the particles have a different density than the fluid, they are subject to gravity and therefore deviate from the fluid streamlines. If the fluid velocity is low enough, the particles may possibly enter a retention site and be captured. Heavier particles increase the gravitational effects while higher fluid velocity and viscosity decrease the effects. Gravity effects are usually neglected in the flow of viscous fluid with particles less than 25 to 30 micrometers in diameter. Hydrodynamic Effects. Because of the nonsphericity of many contaminant particles or because of the nonuniformity of the flow field, hydrodynamic effects may occur on the particles. These effects cause the suspended particles to migrate laterally, enabling them to leave a fluid streamline and possibly enter a retention site. These effects are more noticeable in the filtration of highly nonspherical particles. However, most contaminant particles found in operating systems have irregular shapes. Electrostatic Attraction. 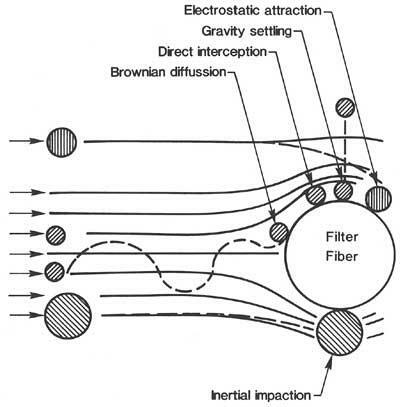 Particles that possess a different charge from that of the filter fiber are attracted to the surface of the fiber. This attractive force can be particularly effective when the velocity of the transport fluid through the capillaries of the filter media is low. The electrostatic principle has been artificially applied in some filter designs to achieve a better separation performance. 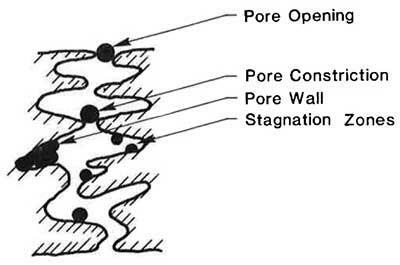 The most common retention sites for particles are the fiber surfaces, pore openings, and pore constrictions, as shown in Fig. 2. The retention forces include surface forces, friction forces, and axial fluid pressure forces. Surface forces are usually classified as Van der Waals forces or electrostatic forces. Particles are captured at pore openings and constrictions if the particles are larger than these openings. The particles are held or retained in position by friction or by axial fluid pressure acting on the particles. If a particle is wedged in a pore opening, it may be held in place by friction forces. Small flow surges are not believed to be able to dislodge such particles. If a particle is brought close to a fiber surface, it may be captured by surface forces. Under such conditions, the motion of a small particle near a much larger collector can be calculated. By comparing the hydrodynamic forces on a particle near a fiber with the Van der Waals attractive force acting between the particle and the fiber, the probability of capture of a given particle can be predicted. Surface forces, molecular or electrostatic, are low-level and have small ranges of influence. Thus, they cannot attract particles from the major portion of the fluid stream, but are effective only when the particles are near the surface of a fiber. The first reason results from media inefficiency factors. The second reason stems from breaks in the media, poor sealing, and improper filter valve construction - a function of media pore area to alternate flow path area. The significance of the third and fourth reasons depends upon the presence of captured particles in the media. In a new filter, no particles can be sloughed because none exist in the media; however, in a partially loaded element, a great number of particles are present that could be released. Hence the term "desorbed" is reserved for cases where captured particles in the media become dislodged and escape to the effluent. 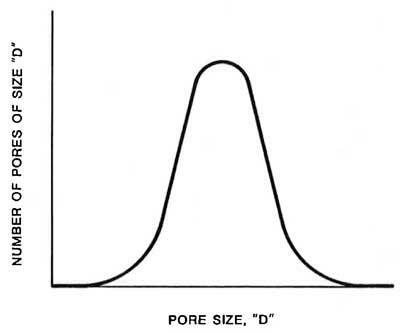 Filter media is comprised of a distribution of pores having a size spectrum similar to that illustrated in Fig. 4. Hence, particles smaller than a given target pore are permitted to pass through the filter without being captured. Such a medium might exhibit a separation efficiency curve as shown in Fig. 5. 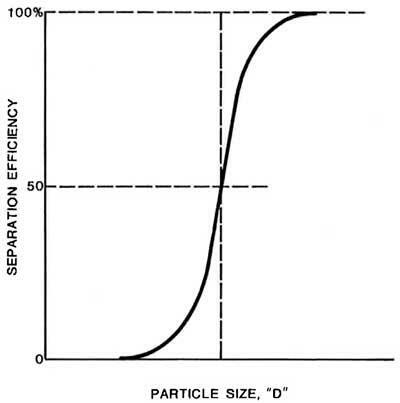 Note that there is always a particle size "d" where the separation efficiency is zero and another size "d" where the efficiency is, theoretically, 100 percent. Thus, some particles are classified as unfilterable due to their small size. When particles can take an alternate path rather than going through the filter medium, a chance exists for "bypassing" to occur. Such alternate paths might be simply breaks, ruptures, or holes in the media; a poor gasket or seal between the upstream and downstream sides of the filter element; or an improper bypass valve construction (for example, unseated valve poppets, spools, or flappers). 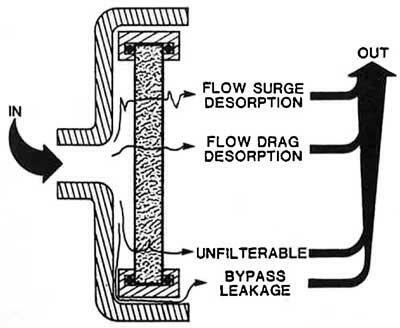 The seriousness of bypass leakage on the filtration process is a function of media pore area versus alternate flow path area - or the old flow axiom of the path of least resistance. Once particles are captured, their retention is dictated by the filtration process in effect, the dynamics of the fluid, and the shock and vibration of the associated hardware. In the case of unsupported medium, the pressure differential across the medium increases, causing distortion and stretching to occur as particles are absorbed. Such changes in the medium enlarges the pores and allows particles to be dragged through pore spaces normally too small. If flow surges are induced, or if flow is stopped and then restarted, severe unloading or desorption of previously captured particles can occur. If particles are captured at pore openings by a sieving action, they will most likely remain captured, regardless of unsteady flow. However, particles held to fibers by molecular or electrostatic adhesive forces may be lost by flow surges because of variations in the hydrodynamic drag forces acting on the particles. If the flow is stopped, the· hydrodynamic forces acting on the particles are zero, and the molecular or electrostatic forces tend to bring the particle closer to the fiber surface. As the particle moves closer to the surface, these adhesive forces increase inversely proportional to the distance between the particle and the fiber surface. The probability that these particles will be dislodged by hydrodynamic forces when the flow is surged or restarted is therefore not as great as it was before the flow was stopped. It is generally accepted that many particles are captured in locations other than pore openings or the walls of the fibers. In almost all steady-state depth filtration processes, the pressure drop across the filter medium remains constant during the major portion of its useful life and then begins to climb. When contaminant particles are captured at the pore openings or on the walls of the main flow path, the effective flow area becomes reduced and the pressure drop tends to rise at a much faster rate than during the early life of the filter. This fact supports the contention that a great number of particles are captured other than at pore openings and flow path constrictions. In the highly tortuous passages found in a fibrous medium, many cavities or sheltered areas exist where, under steady conditions, the fluid is nearly stagnant. If a particle enters one of these stagnant regions, it would probably be held there by the drag effects caused by the fluid viscosity. If a particle were captured in such a region, the equivalent flow path of the fluid would not immediately change, and the pressure drop would not increase. Flow surges or stopping and restarting of flow would probably cause many of the particles captured in these regions to be desorbed or released. These predicted results agree closely with actual experimental results from both the laboratory and the field. It is therefore assumed that a great number of particles that are captured in many fibrous media are actually captured in these stagnant areas. Furthermore, it is reasonable to assume that after a particle is captured in one of these regions, it will slowly settle or rise due to gravitational forces. The particles may then come close to a fiber surface and be captured by surface forces. Particles that evade capture by the filter media actually defeat the purpose of filtration. When a filter assembly provides an alternate flow route around the filter media, the flow taking the path of least resistance can result in sufficient bypass flow to completely mask the influence of the filter itself. This unfiltered contaminant is not a desorption phenomenon but represents a particle ingression source of the system just as much as other recognized points of contaminant origin.